Located on the North of the island, Dededo is the largest village in Guam. The village covers about 30 square miles (78 km2) out of Guam's total area of 209 square miles (540 km2), in other words, about 1/7th of the island's area. As of the 2010 census, Dededo's population was 44,943. The village has grown rapidly during World War II, and in the decades after. Prior to World War II, Dededo was just a small village located at the bottom of Macheche Hill. 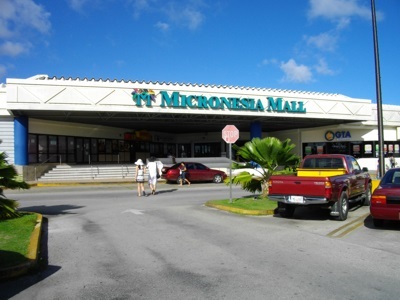 The village suddenly grew in size during World War II, when the US Navy built housing for displaced Guamanians, as well as for imported laborers, in the area. A further big jump in size occurred in 1962, following Typhoon Karen - additional housing was added to the village to accommodate Guamanians who had been displaced by the storm. The origin of the name "Dededo" is not certain, but there are three main theories - either it is derived from the Chamorro word for two inches ("dededo") - or it is a modification of the Chamorro word for of the foot ("dedeggo"), - or it is a modification of the Chamorro word for tiptoes ("deggo").